If you are operating a motor vehicle in the state of Kansas, you have already given your consent to have your blood, breath, or urine tested for alcohol and drugs. It’s called the Implied Consent law, and every state within the U.S. has one. Implied Consent laws are fairly simple. In exchange for the privilege to drive a vehicle in Kansas, if you are pulled over on suspicion of DUI, you agree to have a chemical test should a police officer request that you take one. If you do not, you face an administrative penalty, typically a license suspension of up to one year, for refusing to take the test. In many states, points will be added to your license too, which can create additional penalties. Implied Consent statutes are legal. The laws have been upheld again and again as part of a states’ policing power. Even in the face of challenges against reasonable search and seizure and self-incrimination, courts have continually ruled in favor of the laws because driving is a privilege, not a right. Before a police officer can request that a driver take a chemical test, he or she must give him written and oral notice of several facts about alcohol testing. This notice will include the fact that you have no right to consult with an attorney about whether to submit to the test, and you have no constitutional right to refuse the test. Further, people refusing the test could lose their driving privileges for at least a year and be required to install an ignition interlock device. The notice will also state that citizens have the right to get additional testing done at the place of their choice after they have completed the police officer’s test or tests. If you have been charged with a DUI in Kansas, you may recall the officer giving you a white piece of paper and asking that you read along with it while he read it to you. That was your oral and written consent and it is given to you in writing by way of a form called the DC-70 form. After the notice is given, the officer will then ask a person if he or she will consent to a test. The driver has no choice as to what kind of test is administered. Only the officer decides whether to request a breath test, blood test or urine test, or some combination of the three. The officer can request more than one test if he wants. After the driver has submitted to the test or tests of the officer’s choice, and only if the test or tests were completed, he or she is entitled to go and get an independent test from a doctor or hospital of his or her choosing. Of course, these arrests usually happen late at night and the only medical facilities open are emergency rooms and they will likely refuse to give a test to someone in a non-emergency situation. If you’ve been charged with DUI in Kansas, the next step is a simple one – contact Attorney Jay Norton and the team at Norton Hare right away. You need the help of a skilled attorney who understands how to build a powerful defense against the state’s charges. 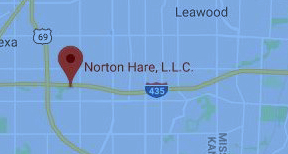 Norton Hare can help. We work to aggressively defend the rights of those who have been charged with DUI or DWI on both sides of the state line, and we’ll defend you too. Contact us today.